Kosherfrugal.com - Frugal Living in Israel: Printable Coupon! New-Pharm just put out a few more printable coupons! 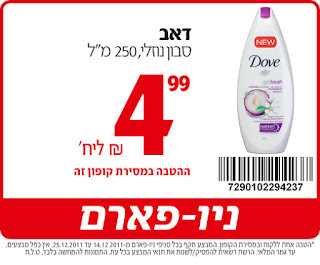 This seems to be the week of the Israeli printable coupon... have we entered a new era, or is this just an end of the calendar year thing?